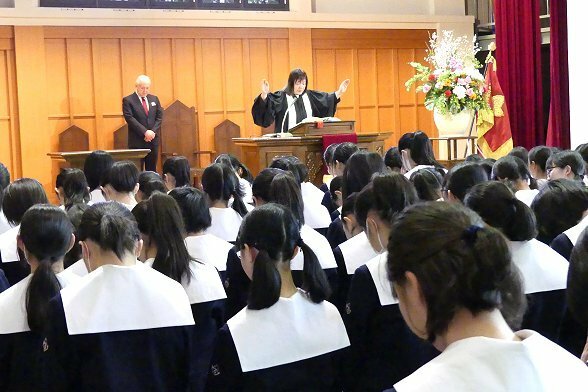 On April 8th, the opening ceremony of the 2019 school year was held. This was my first opening ceremony at this school, so there were many new experiences for me. The ceremony started with hymns and the school song. I tried my best to sing along with the songs but I have to admit that I had to look at my paper many times as I am still not familiar with all of the lyrics. Next, the Principal gave a speech to encourage the students in the coming year. 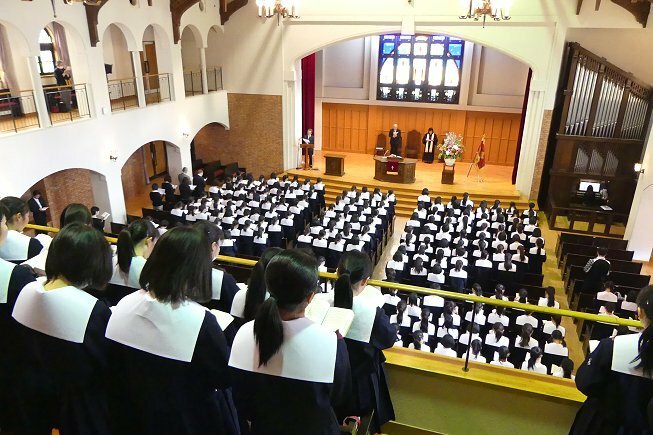 Finally, I was introduced along with the other staff who started working at the school on April 1st and I gave a short speech in Japanese. Giving a speech in Japanese is still not an easy task for me so I left a little nervous. However, I did my best and I was happy to receive a round of applause as I finished speaking. During my speech I encouraged the students to take any chance they have to speak with me or Alyssa. We both agree that the best way to improve your English is to take as many opportunities as you can to speak with others and we are always happy to talk with the students. I am looking forward to classes starting in the next few days and I hope I have a chance to talk with as many students as possible in the coming months.